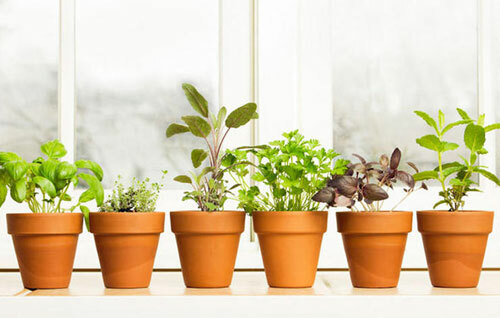 The secret to great health may be right in the clay pots you have sitting on your windowsill. Many herbs add not only flavor to food but also offer a slew of health benefits. Lets answer some quick questions on growing herbs. 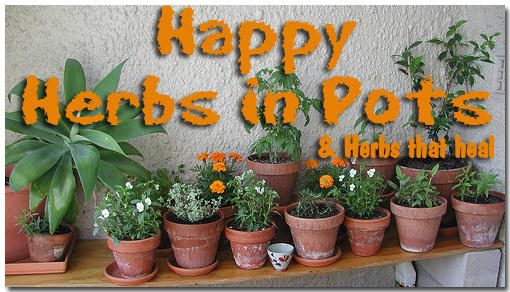 Basil, most mints, bay, rosemary, savory and oregano are some of the easier herbs to grow in pots. Of course un-glazed terra-cotta is the best container material to use but other pots work well. The reason is simple: terra-cotta allows moisture and air to pass through. Other materials are usually high fired and are meant to repel moisture. If the pot has a drain hole this helps the water to pass through and just moisten the soil not saturate it. 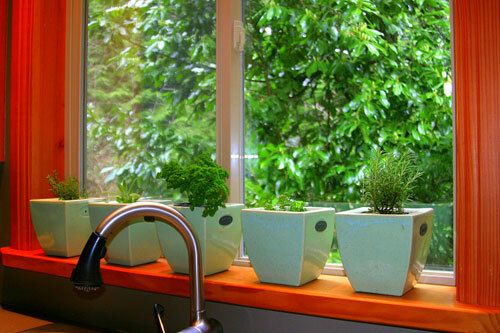 Herbs also need as much light as possible - at least 4 to 5 hours of direct sunlight is preferred - a day. Use a grow light if necessary during certain times of year when sunlight is hard to come by. If you start to notice pests like whiteflies, spider mites, or aphids - just use an insecticidal soap spray which is harmless to animals & humans. If your herbs get mealybugs or scale, discard them and start over with new plants. From a basil plant in a sunny garden window, you can hardest a quarter pound of leaves in one cutting. 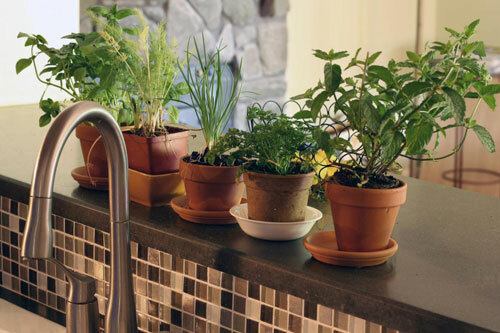 Indoor herbs tend to reach for the light and become leggy; to force bushier, more attractive growth, pinch them back regularly about one to two inches a the growing tips. Don't hack them back as much as you would a plant outdoors in the ground. 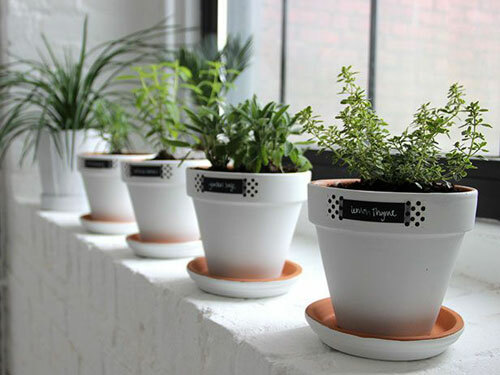 There are many ways to use potted fresh herbs. Add to salads give great depth of flavor. Use chives in egg & omelettes dishes. Toss fresh mint into ice tea or black tea for a touch of sweetness. Nothing tastes as good as fresh basil on a hot oven pizza. Experiment and have fun! Did you know that Basil is a natural anti-inflammatory and antibacterial which is rich in magnesium? Did you know that Dill oils may help carcinogens? Did you know that Cilantro not only taste great in salsa but it is a good source of disease fighting phytonutrients? Herbs are fun to grow, healthy to eat and taste fresh & fantastic. Give them a try.